The statistics are shocking which shows 7.6 million deaths all over the globe due to cancer alone in 2007. According to the survey by the American Cancer society about 1.5 million cases of cancers has been diagnosed and about 6.7 lac had lost their lives. It has been surveyed from 1999-2006 that there is chance of 68% of survival from any type of cancer that has been diagnosed which is higher than earlier which is 50% in 1975-1977. This survival rate can be increased by following a good chart of healthy diet or in nut shell we can say that we can save ourselves and reduce the risk and effects of cancer by consuming the foods that cure cancer. 1. Turmeric :-It is scientifically known as curcuma longa, its a ginger family member. 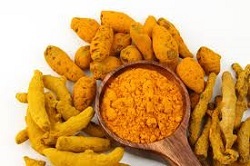 Turmeric is supposed to fight cancer due to its medicinal properties and anti-inflammatory properties and it stops the production of inflammatory chemical known as cyclo-oxygenase 2 or COX-2 which is harmful for our body and in case of colon and bowel cancer COX-2 is released in high amounts. So turmeric can cure cancer. 2. 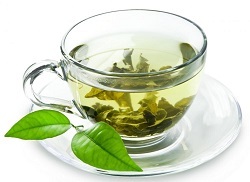 Green tea :- Green tea helps in preventing various types of cancers such as pancreatic cancer, colon cancer, stomach cancer lung cancer and liver cancer as it contains strong anti oxidants such as polyphenols which prevent the cancer cells from dividing. 3. Soy products like Soy milk or tofu :- Soy products contains phytoestrogens which are mild estrogens which help in inhibiting the formation of cancer cells in breast and prostate. 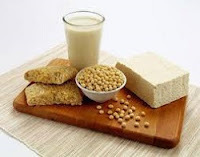 It should taken in a regulated amount on the prescription of doctor as Soy products taken in large amount can increase the growth of cancer cells. 4. 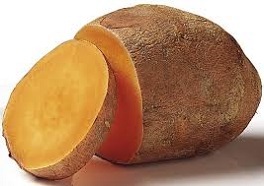 Sweet potatoes :- Sweet potatoes checks the formation of cancer cells as these are rich in beta carotene which helps in protection of body cells from carcinogens outside the cell membrane. 6. Grape fruits :- Grape fruits such as lemons, citrus fruits such as oranges and papaya contains beta-carotene, vitamin C and folic acids which makes our immune system strong by stimulating the growth of lymphocytes (cells that provide immunity). 7. Nuts :- Nuts are rich in quercetin and campferol which are strong antioxidants and they are capable of treating cancers. 8. Tomatoes :- Tomatoes contains lycopene which are strong antioxidants and they destroys carcinogenic free radicals and convert them to harmless compounds. 9. Carrots and watermelons :- These are rich in beta carotene which helps in fighting many cancers such as mouth cancer, stomach cancer, prostate cancer, lung and liver cancer. Carrot and watermelon juice is recommended for cancer patients. 10. Mushrooms and garlic :- There are various mushrooms that helps in increasing the capacity of immune system. Garlic also enhances the activity of the immune cells which fights the cancer cells. Garlic also produces such type of substances which block the entry carcinogens in the body. These are some of the foods that can fight with cancer. 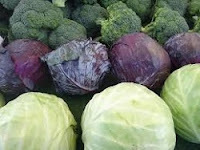 In general we should rely upon the raw fruits and vegetables which makes our immune system strong enough to inhibit the growth of cancer cells and make us fit and fine and cancer free.